Got me and my Mom tickets to TNT Super Panalo Day which happened a few days ago. She's a bigger fan of AlDub than I am so when we knew of it, we didn't hesitate to go and see the show at the Mall of Asia Arena. Unfortunately, I didn't get to take that much photos of Alden Richards and Maine Mendoza because as soon as they got out of backstage, almost half the Mall of Asia's VIP section got off their seats and flocked to the front of the stage, so if I had photos it would probably had half of it with the fans heads and torsos. So sorry about that. Anyway, there's more reason to celebrate because Talk N Text will now be known as TNT. Now if you've seen Facebook.com/kumagcow I got tons of views from the videos I took of Robin Padilla and Morisette. Aside from that, we also got videos of the first part of the show involving a VERY FUNNY Donita Nose. My mom couldn't stop laughing actually. 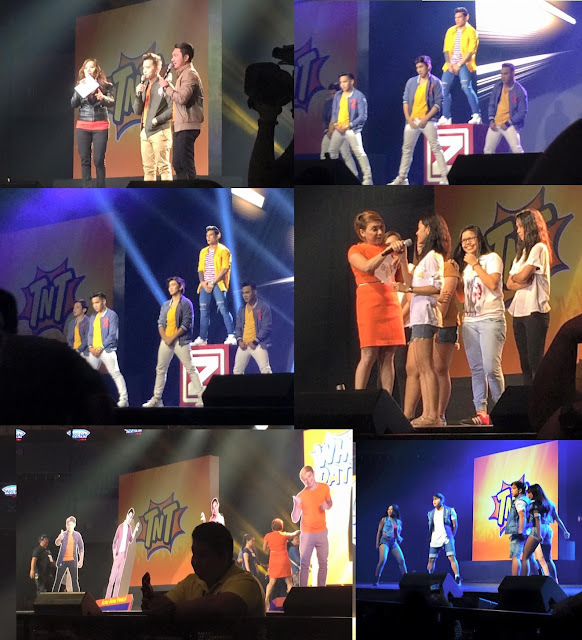 Aside from that, TNT also gave the fans some fun and games, plus the chance to win Php 100,000, a Motorbike and a 50 inch TV. It was just raining prizes that evening! Second realization, Morisette is super sick! I mean she's totally unbelievable! Viral Ella Cruz also joined the show and got us dancing, twerking and a whole lot more! Thank you so much to TNT for having us! Thank you also to the countless fans of AlDub who went there despite the heavy traffic. Like me, my Mom had so much fun and deem this a really SUPER PANALO DAY! Thank you TNT! You can win more stuff like these if you join their promos so stick to TNT!